Pink Cat Studio is releasing 2 AMAZING sets this month! I will be sharing some peeks here over the next few days, and the release is taking place on the 15th. We also have some new designers on the team to kick off the New Year! So make sure you click on my sidebar to check them out. 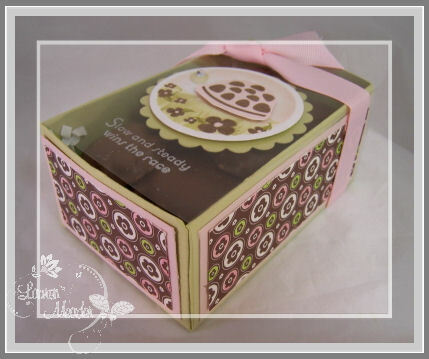 For this month-we have another fabulous Lily & Billy Sweethearts set-that is truly to die for. Today I am sharing the two of them on a bike together. This was colored to be like my & my hubby 😀 Aren’t we cute! LOL! I adored this image of these two, and had a blast making it into a “scene” by adding the sidewalk, and soft sky bkgd. I just loved the POP this image itself had so I kept the rest of the card details to a minimum. No need to take away from the happy duo. 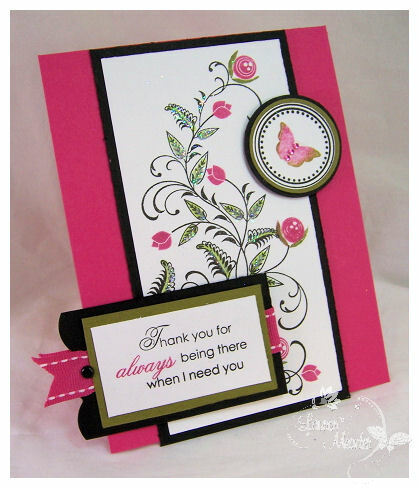 I just used the floral fantasy cuttlebug folder to dry emboss the bottom section of the card. Tied around some spring rain twill, and secured it through a May Arts white flower blossom. AND- I’m beyond in LOVE with the NEW! Kiki Kitty. If you have seen the other Lily & Billy sets you may have noticed a cute lil cat pop up a few times. Well, now Kiki has her own set. I personally LOVE this set so much and had hoped Melissa would let Kiki make a stamp debut of her own so Im over the moon. Again-Im LOVING my colors and layout in this. I had this paper for like 3 years!!! I had to make my cat purple! LOL! Well that is all for peeks today! At least from me. Enjoy looking around at everyone’s samples :D, and make sure you check in tomorrow for more Lily & Billy Sweethearts, and Kiki! From Sympathy to Everyday-just switch out your sentiment! 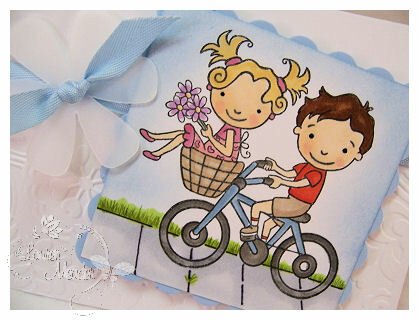 Today we all have a special post using one of the newest Papertrey Ink sets called With Sympathy. This will be released on the 15th. As you will see, the set is just gorgeous! Throw in a butterfly and I am one happy girl! 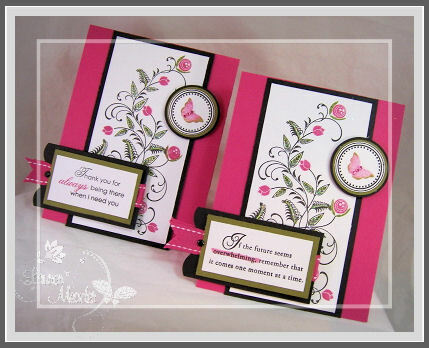 The sympathy set sentiments for this month are sure to suit any sorrowful occasion with style and grace. From general loss, to the loss of a child, or a beloved pet! Obviously none of us ever want to have to make a sympathy card for anyone, but Nichole has covered the market with these sets this month. 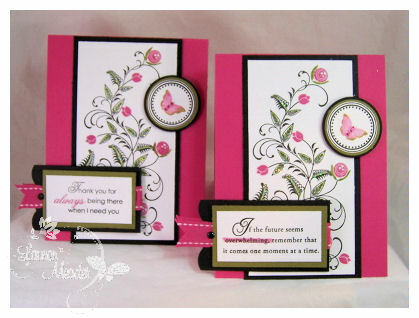 Now our challenge was to utilize the same stamp set, layout and colors to create BOTH a sympathy card, as well as an everyday type of occasion. 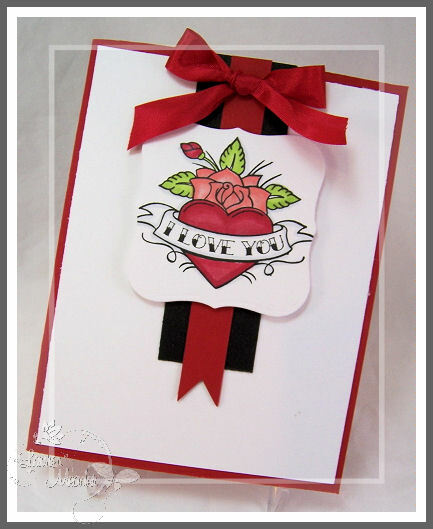 This is sure to show you how versatile the sets from Papertrey Ink are, and how these sympathy sets can also be used all the time. Here is my sympathy card. 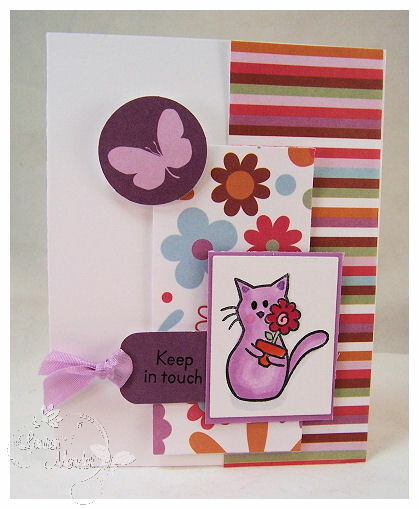 When I create a sympathy card I always include a butterfly. To me, butterflies are very symbolic. They signify a beautiful journey-such as the journey through life, new beginnings, and time. I always try to keep a sympathy card clean, and uncluttered. As for colors, I like to cheer someone up a bit, so I stay away from using all black. A little understated sparkle doesn’t hurt either. I added some glitter to my leaves, and my butterfly body uses adhesive rhinestones. Everything is exactly the same, I just used a different sentiment. for more ideas on just how versatile these new sets really are. I know I am excited to see what the other girls came up with! OK I have another template sample!! The templates will be released on the 15th. 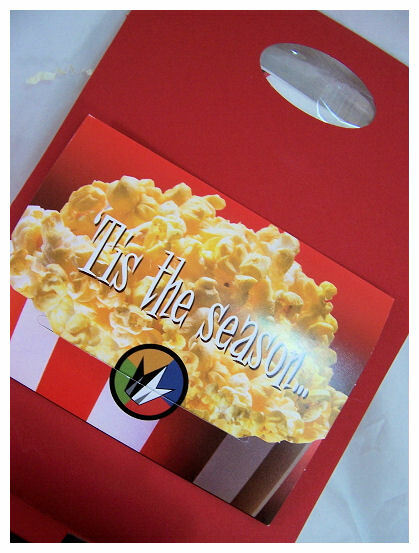 Do you ever give gift cards to the movies-or for movie rentals? I know Netflix is becoming popular, and with the economy being what it is, sometimes a movie “IN” is a much more affordable (and realistic) date night option these days. Especially if you are like me-3 kids, and NO HELP for babysitting. Let’s be realistic. If you have children getting a night out is NOT easy. AND if you wait for a date to “reconnect” and spend time with your loved one, before you know it the kids will be going off to college, and you won’t even know who you are married to anymore! LOL! Jay and I try to have one on one time daily-even if its just an hour. Throwing romance out the window, and making a date night at home is about as good as it can get at my house! Jason and I appreciate getting movie rental gift certificates from people, to make it that much more affordable. Even a $10 gift can get us 3 movies 😀 Upon receiving such a gift I thought about a fun way to GIVE a gift like that, and make it all the more special. So this recent gift card (as seen here) being my inspiration point-here we go! 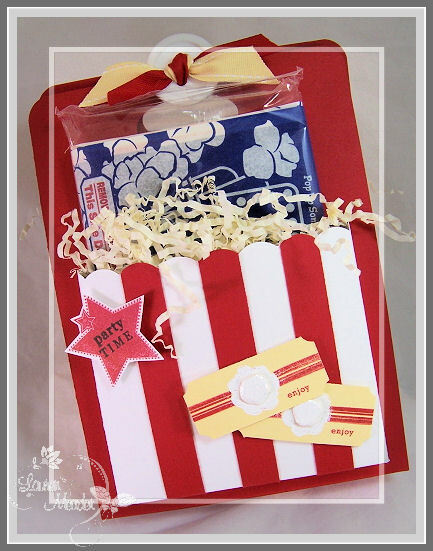 My newest Take Long Tote © template is the PERFECT presentation for a movie night at home! 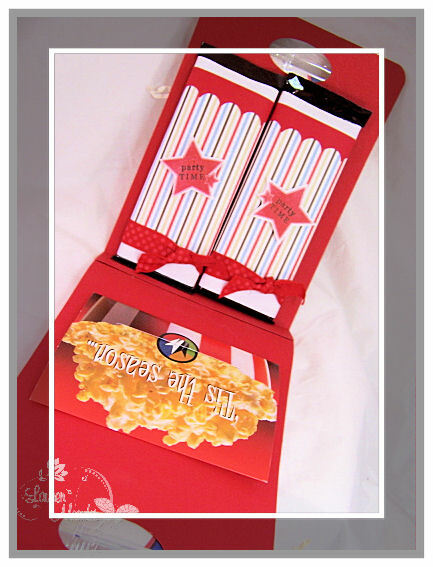 Being inspired by the gift card packaging, I designed my front & back pockets to look just like a popcorn box! Of course both my pockets each hold a bag of microwave popcorn! You each need your own bag 😀 Heck they are only 110 calories, so eat up! The yellow filler adds to the design a bit. 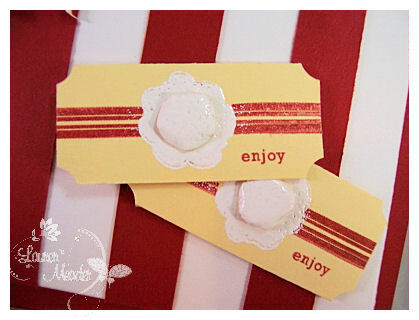 Now to decorate my “popcorn box” pockets-I added strips of poppy cardstock, and made a scallop border. I wanted to add to the popcorn pockets so-I did! I used the stars from the 2008 Holiday Celebrations and cut them out. the “party time” is from Limitless Labels. I also used these for my candy bars (keep reading). OK so I wanted to make “tickets”. I used a corner punch for that, and chose to use the Limitless Labels set for my ticket design. The “enjoy is from Mixed Messages. Inside we have a gift card to the movies or video store, and 2 wrapped candy bars to match. You can’t “go to” the movies without popcorn and candy bars right? I think this is totally cute, and sure to surprise the lucky couple! I just created a cute wrapper for them. Nothing fancy. I think the project as a whole is really cute. Heck include babysitting and get it for the movie theater! LOL! The point is you CAN plan a nice date night at home. It may not go uninterrupted but its the thought that counts. 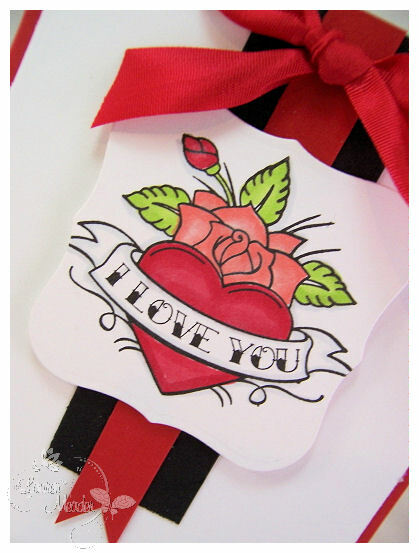 With Valentines Day approaching you can make this for your special someone as part of your romantic date night at HOME! LOL! Change it up for Football season-with a FREE PASS for an uninterrupted afternoon of watching the game with friends even. It’s always the thought that counts. Who’d of thunk it? That 2 measly packages of microwave popcorn and some candy could look so cute?! Endless possibilities for this template-even for the MEN in our lives. I’d love to know what you think of this project, and share ANY “dating at home” tips for those of us with kids who can’t get out too often! The excitement is building. Ready for another peek? Im certain I sound like a broken record but you ALL seriously make my day. This wouldn’t be very exciting if I were the ONLY one who was happy about it all. YOU are what makes this all so AWESOME that words simply cannot even convey what I feel about it all. Truly. Today I am switching gears to share a sample from my 2nd template. It is called The Perfect Match © box! Sometimes we need or want a slider box to hold a variety of items. This box is just amazing. 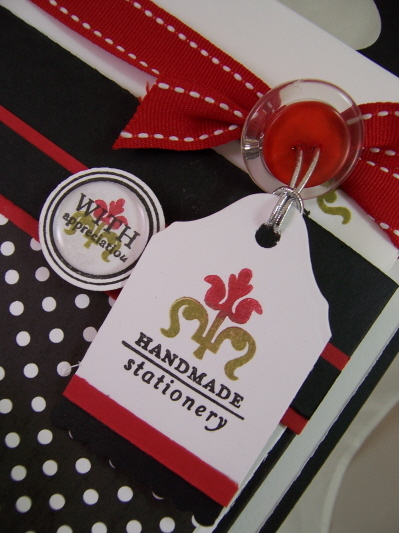 Mix and match your papers and stamped designs for a really beautiful custom look. It can lay flat, or stand up. Your choice. 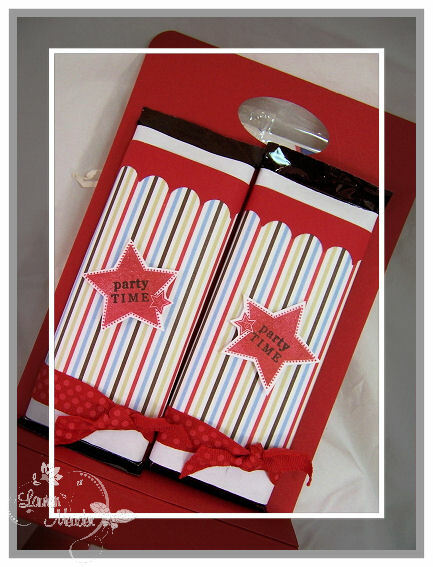 This is a great one for favors for birthday parties, Weddings, Bridal/Baby showers, and a million other “just because” occasions. This box uses Beautiful Blooms. It was my template conception project. I used a soft sky and teal pigment ink for this project. 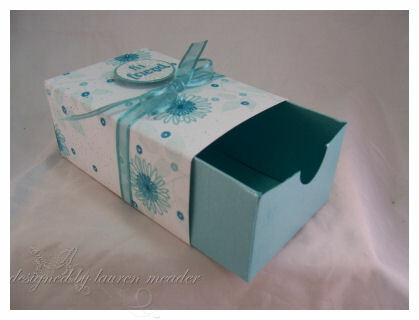 The box slider base is a shimmery cardstock from WorldWin Papers. There are also adhesive rhinestones to match, in the flower centers. I randomly stamped the slider cover to make my own patterned paper. I punched a notch in the front panel for an easy slider option. No notch need though. The best part about this template is its like a 3 in one template!! You can use the base and slider box together. OR use only the slider box! The slider portion has a bottom, so its perfect on its own! You will be shocked at what you can package in this template (again-I have so many ideas to share over the next few days!). Don’t forget the AMAZING Papertrey Ink Design Team! 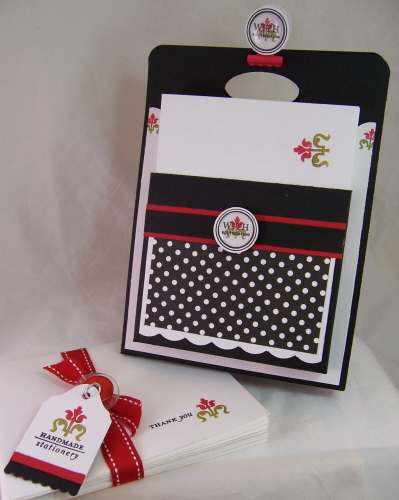 They contribute FABULOUS ideas that go into the exclusive idea catalog that comes with every template purchase. That alone is amazing. I’m certain anyone here who has purchased a template has discovered how great that idea catalog is. So, as I said-like its name-you can easily mix & match your top and bottom of this slide out style box. Its a perfect size to hold many fun treats too. 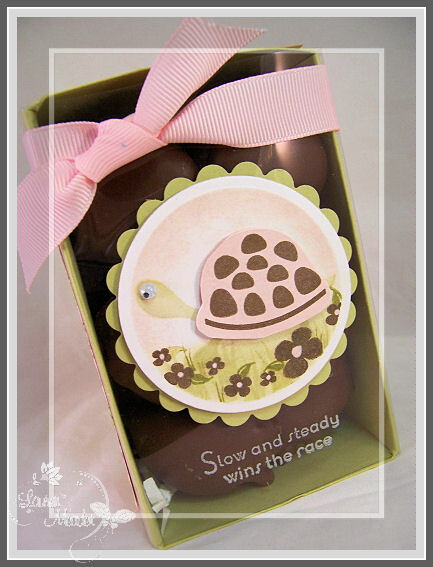 Speaking of fun treats-how about some chocolate turtles? When packaging these, I knew the turtle from Pond Life was the PERFECT set! Pair it with Forest Friends and I was one happy girl! I printed my template base on Spring Moss cardstock, and cut/scored/assembled. Now when using acetate to replace a cardstock portion of the template, I simply print the template onto my copy paper, then use it under my acetate layer as my cutting/scoring guide. Easy peasy. Before assembling the acetate cover, I adhered my sweet blush panels to the inside panels of the template. I also stamped my sentiment in white StazOn. 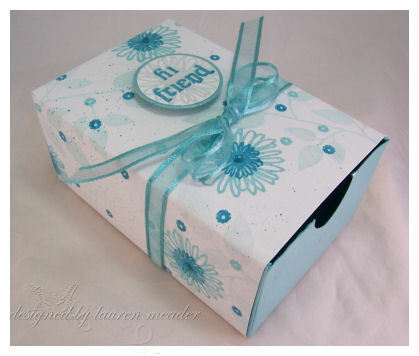 Once it was assembled I layered in my Chocolate Remix patterned paper-which I colored random flowers to match! A really pretty touch I think. Don’t want to eat them all up at once, now do we? One a day is the perfect treat. I fit 12 of these delicious chocolate turtles in this box. With room to spare! Valentines Day is approaching! 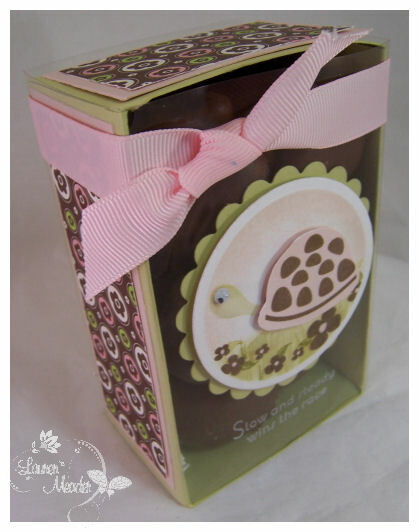 Chocolate turtles are just so YUMMY! Who could resist them in this package? Well that is all for today. I hope you will share your thoughts on this template/project as well. Tomorrow is going to be JAM packed with samples here! I will have a special Papertrey Ink post to share with the other design team members, along with 2 template samples (one with The Perfect Match©, and another with Take Along Tote©-IF I find the time to blog it all. ) AND if that wasn’t enough, I have peeks starting for Pink Cat Studio! Now you understand why I’m so crazy?! LOL! Many ask how I do it. Right now I’m certainly surprising myself! LOL! I have so much more to share, you have no idea how much my head is spinning. I always have to jot down the ideas when they hit because I get flooded with so many at once! So, stay tuned tomorrow, and be sure to check out Nichole’s Blog, as well as Heather, who has another great set debuting this month. I have posted 3 recent posts. Scroll down! If you have tried them, thank you! I get so excited with each release, and seeing what you all do truly makes my day. This month is another exciting one. I hope you enjoy it as much as I do. 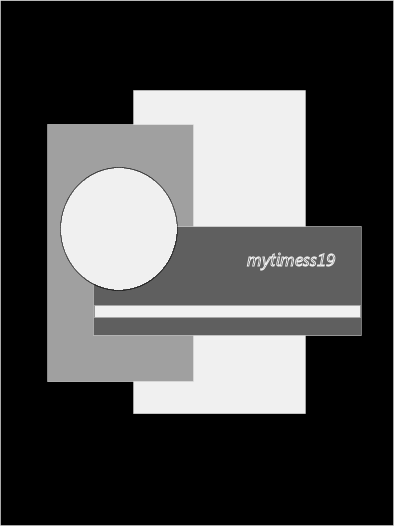 Introducing my newest template from My Timeless Templates ©! It is called the Take Long Tote© This template will be available for purchase on the 15th. 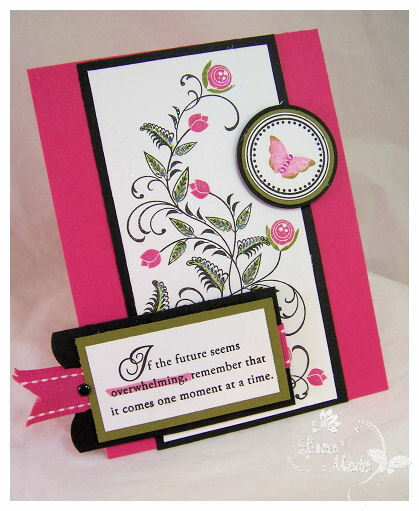 It is a perfect holder for all those beautiful cards we all make! With 2 pockets to hold your cards/envelopes or whatever else you can dream up, it the perfect tote for anyone. YES! 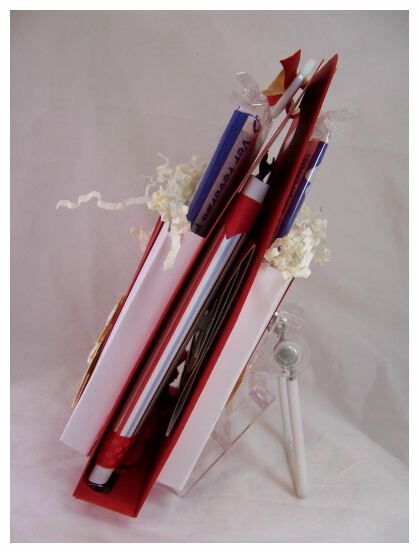 This fits your standard A2 size creations. 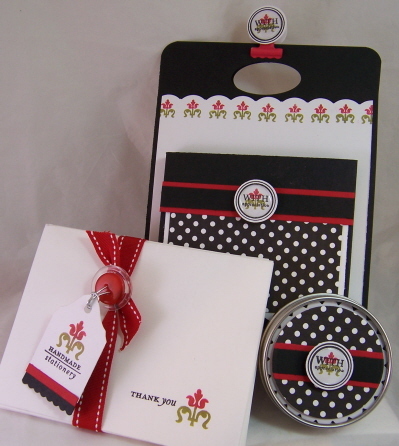 This set I made was created using the DELUXE Stationery Kit. I hope you like it. You can never have too many card holders. As the days go on I will of course give you other ideas for this template too. 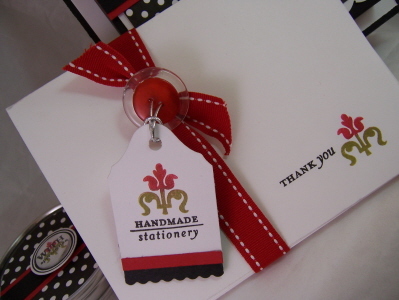 Stationery and cards are always the perfect gift, that keeps on giving. Having a perfect, easy to make package, to coordinate is a huge bonus, and really completes the package. It is so nice to have a variety of ways to present/store all your beautiful creations. I decided use Black, Pure Poppy , Ripe Avocado, and white . Now upon looking at this set, one of the images caught my eye. It is a flower-like flourish. To me, it was just like my favorite flower-a tulip. I had to use it as my main focus. 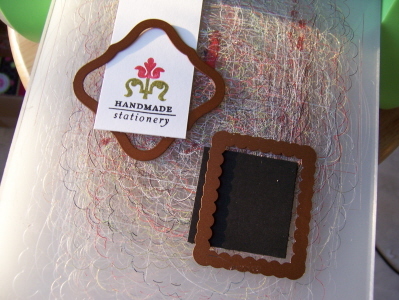 My tag uses one of the sentiments in the stationery set. Now the “with appreciation” is from Mixed Messages. The circle border is from Borders & Corners. I added the flower element to tie the set together. 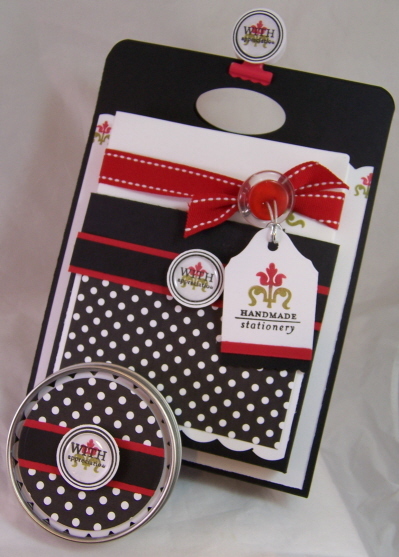 I love how it can showcase your gift set is handmade. Now inking my flower with dual inks was very easy. I inked just the stem in Ripe Avocado ink. Then I used the shape of the ink pad to ink just my blossom in Pure Poppy. Stamped where desired. It went very quickly. Now for the tag part. I made my tag using the Labels 1 nestability, and a rectangle scallop border! 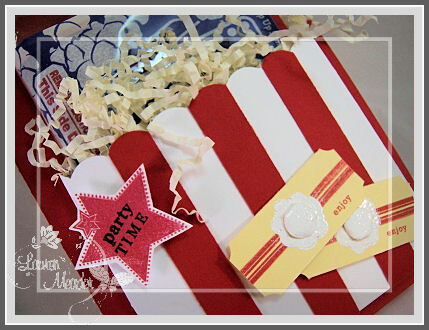 My white stamped tag was about 1 1/2 inches wide, then I die cut it. Layered the tag piece, with the scallop border for the bottom. Punched a hole, and had a elegant tag for my stationery set. Getting an elegant tag is easy peasy! As you can see, it has 2 pockets. One on the front, and one on the back. The choice of 2 is of course optional. The front panel holds my stationery sheets from the Deluxe Stationery Kit. I folded mine in 1/2 like a card. As you may notice I did a scalloped panel. 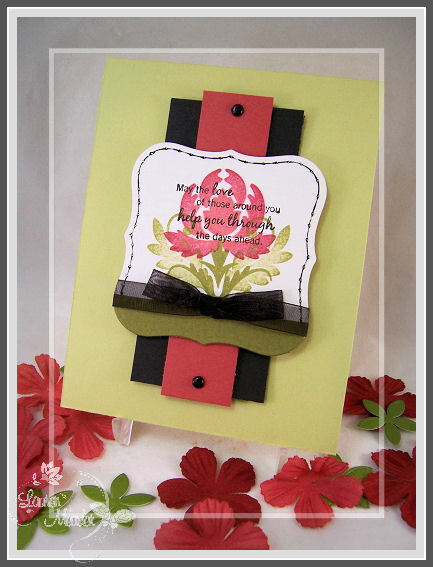 I stamped the flower along that panel for a pretty simple touch. 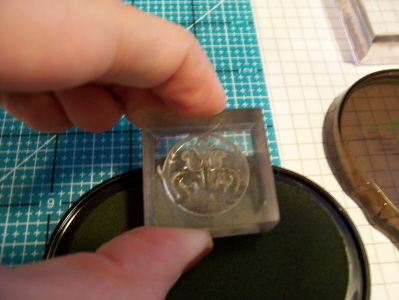 Now the back panel -this holds my stamped envelopes to match. 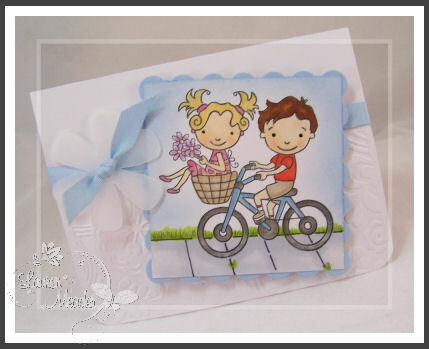 A stamped envelope is a little touch that can really make a big difference. Now un-clip the top of the tote, and inside you can hold even MORE fun items. Note: I just added 2 punched circles, stamped to match to make my clip (by making memories-as are the page pebbles that are in the center of my “with appreciation elements) a perfect closure for my tote. You can always punch a handle in the tote, or use ribbon etc, as you will see over the next few days here. 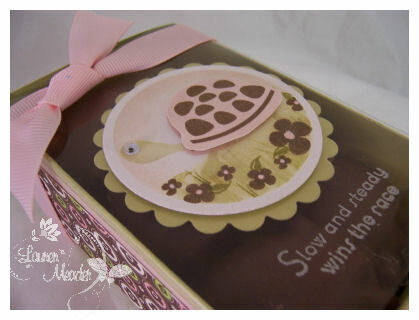 I decorated the little tin to match, to hold stamps for mailing. 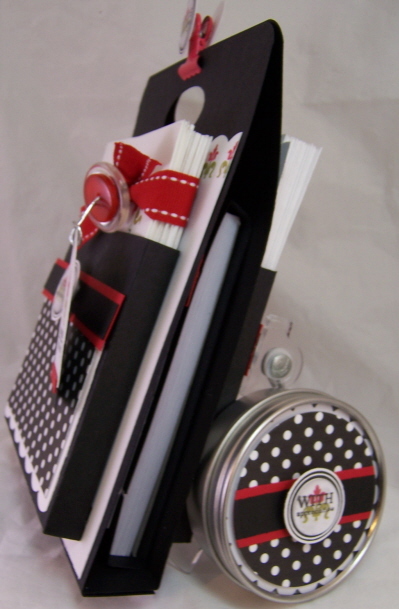 Inside this one I decided I would cover a note pad (I got a set of 6 at Staples for about $2). It has a magnetic closure. Designed to match perfectly, of course!! Very easy. This will help someone jot down any important reminders and such. 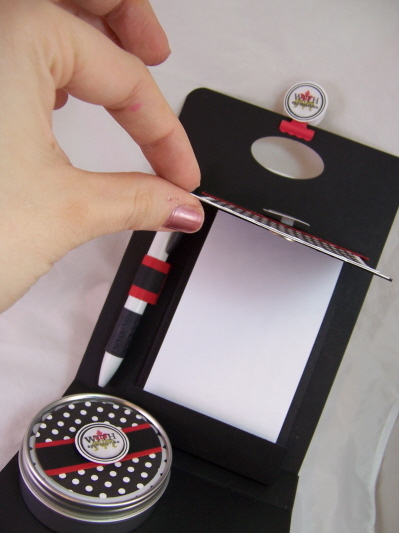 I also included a pen in the set as well, with a little cardstock pen holder to match. Isn’t that a nice surprise? Not only do you have two pockets as an option, but you can open it up for another great surprise, and more storage! Well, that is it for me . I had so much fun making this. 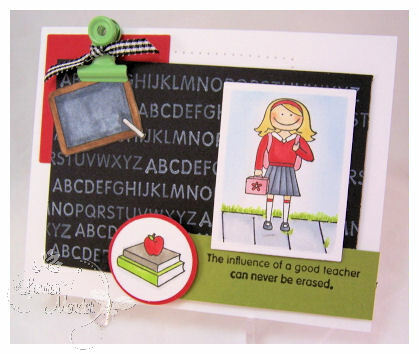 I hope you enjoyed my peek at the new stamp set, and md my latest template release! I love to hear your feedback. Leave a comment if you want a chance to win my completed project featured in todays post! For more peeks make sure you check out Nichole’s blog! OK I am truly -truly- exhausted! Lots of posting/samples to share over the next few days! I hope you will check in daily to see it all. Im posting my Sat. Sketch early so I don’t have to deal with it tomorrow. My brother moved out, so now we have to work on getting the play room completed, and take down our Christmas tree!! (oh and more stuff to make) Can you tell I’ve been REALLY busy! YIKES. At this point I may have to decorate it for Valentines Day. Why not? That could be fun. That goodness its a fake tree. 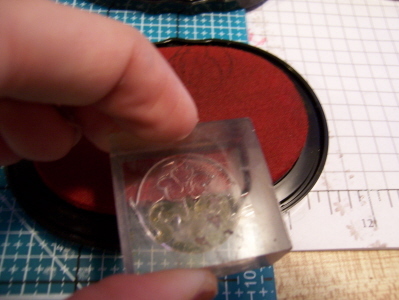 Now looking at my sample, I may try this again! Instead of a paper layer, I stitched a faux third layer! Can you see it?? I love the colors of this one. Lizzie Anne Designs New! Release images are now available! * note: red/green/black again! I’m just loving this combo. Also sorry this is so late, and short. My time is tight. I have a big post going LIVE at midnight. 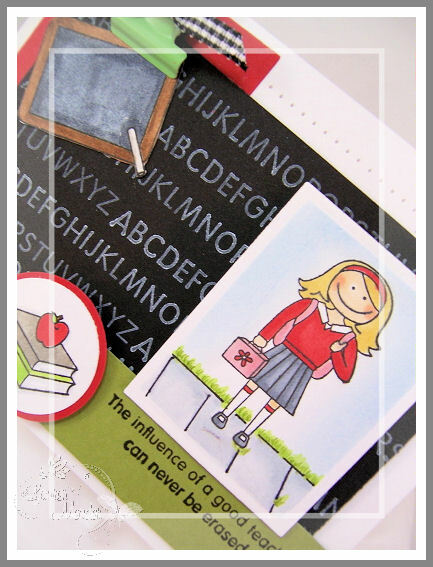 MFT blog hop, skip and a jump! Well its become a monthly tradition that theMFT Design Team posts a blog hop! If you didn’t start here, then go to Kim’s blog. I am in LOVE with the set I am peeking today for theMFT release called Maid for you! 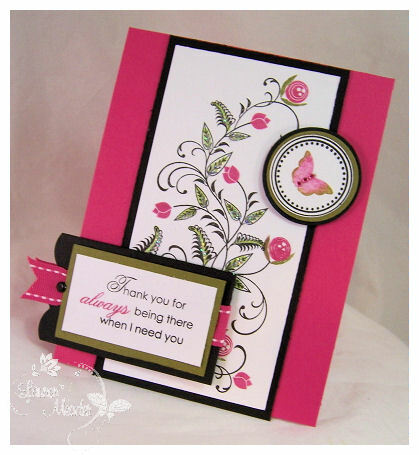 In “classic” Mft style colors (pink & black) I designed my card. I think she is just so HOT! I love the sentiments in this set too. Totally crack me up. I used a “love notes” sticker from SU! I had it about 2 years, and thought now was a good time to dust it off! LOL! I made my “wallpaper” to match just by using a Copic marker and a gel pen. I think its cute like that. 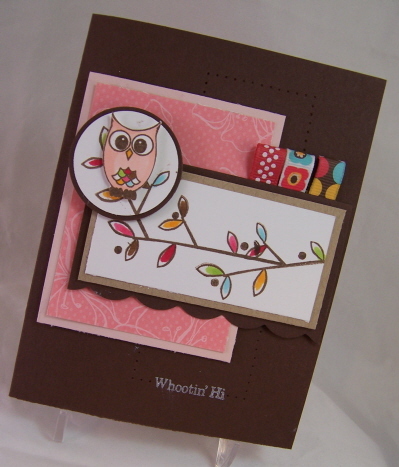 Owl for all seasons Please see my other sample HERE!!! My Favorite Things (www.mftstamps.com) is having a New Release Cocktail Party TONIGHT, January 7th from 9-10 p.m. Eastern time. This month there are FOUR new sets being released including a Who’s that Girl set that is Maid for You! 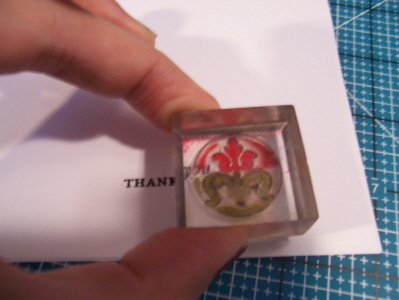 Head over to the MFT forum on www.splitcoaststampers.comto find out all the details and to find out how YOU can be the next MFT Guest Designer. We hope to see you there on Wednesday night. When you are done here, you want to jump on over to Michele’s Blog.